I thoughts I’d share a sweet little Monday card with you. I created this just for fun using the new Rustic Floral set from Picket Fence Studios. I love this darling little image and the sentiments in the set are perfect for note cards for many occasions. 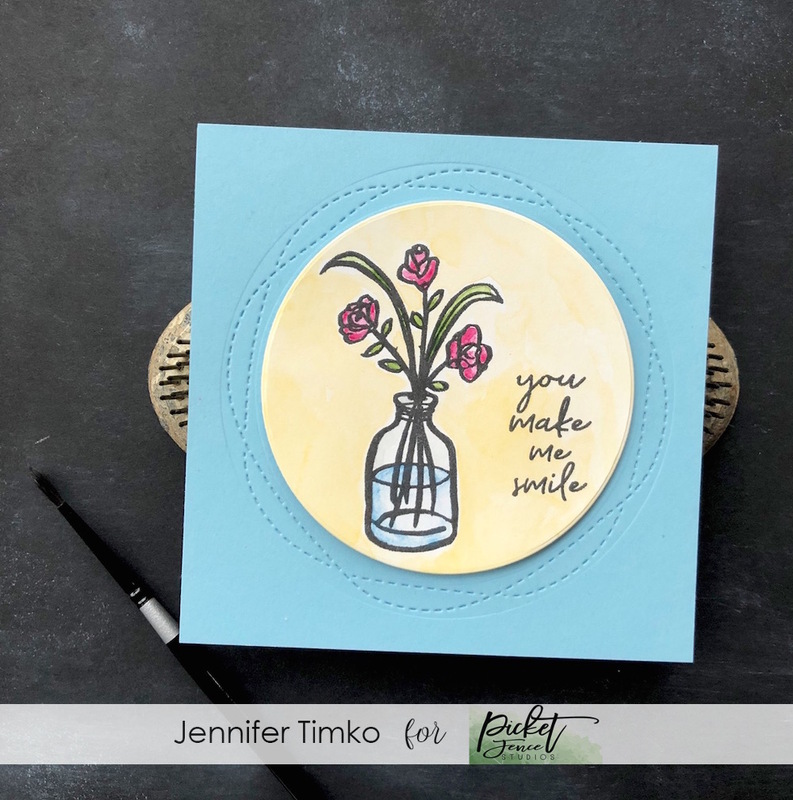 I stamped this in the new Black Hybrid Ink from Picket Fence and wow! Hybrid it is! I tested it with Copics and this was my watercolor test. PERFECT! I love a one stop black ink! It doesn’t budge or smear with either. Not sure how that is possible but some things just don’t require an explanation. I’ll accept that it is crafting magic! 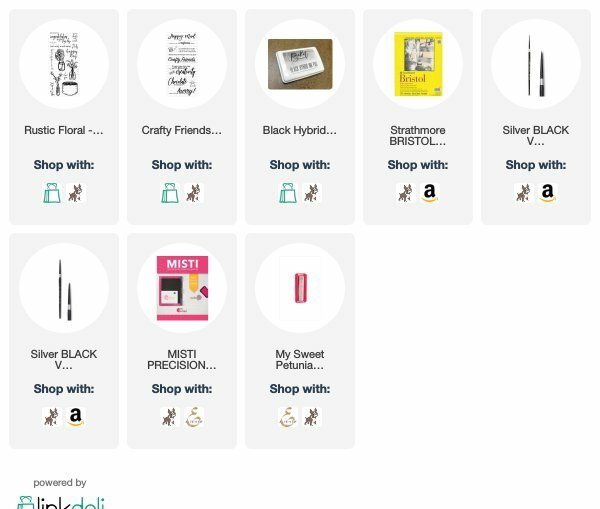 I love it so much that I’m going to gift it and the Crafty Friends stamp set to one lucky person. I’m going to make this an Instagram drawing so hop over and follow me there and enter for your chance to win. You can find the details HERE. After coloring the image and the background of this with Daniel Smith watercolors (just some quick and easy coloring) I cut it out using the Wonky Circle Dies by Gina Marie Designs. The stitched background is made with the same set…it cuts the stitches separately from the circle cutting die. So clever! That’s it for today. I hope you hop over and find me on Instagram to enter. Back on Wednesday with an awesome announcement from Freshly Made Sketches! You will not want to miss it! Until then, have a happy start to your week. Adorable and I love that wonky die cut!